← Eco Beasts take over West Sussex! What do you do with a broken toaster? Or a laptop which is on the go slow? Or with a ripped pair of trousers? Bin it? No, repair, remake, reuse and refresh, saving money and helping the planet. Sussex Green Living an environmental awareness and education community initiative and Horsham Quakers are launching a Repair Café on 7th October in Horsham. This will be the first Repair Café in West Sussex and will take place on the first Saturday of every month 10am– 12.30pm. The Horsham Repair Café will consist of a rotating theme of different repair café sessions starting with clothing repair, alterations and textile upcycling on Saturday 7th October. On 4th November laptops and computer can be brought for repairs and on 2nd December the repair café morphs into an energy café to look at how people can reduce their energy use at home and maybe switch to another energy provider to save money. Then on 3rd February the café focuses on woodwork repair and remaking. The themes repeat in 2018 with the addition of a small household goods electrical repair session on 7th April. Carrie the founder of Sussex Green Living says “Many local people have wanted a repair café in Horsham, so we thought long and hard how we could set one up. 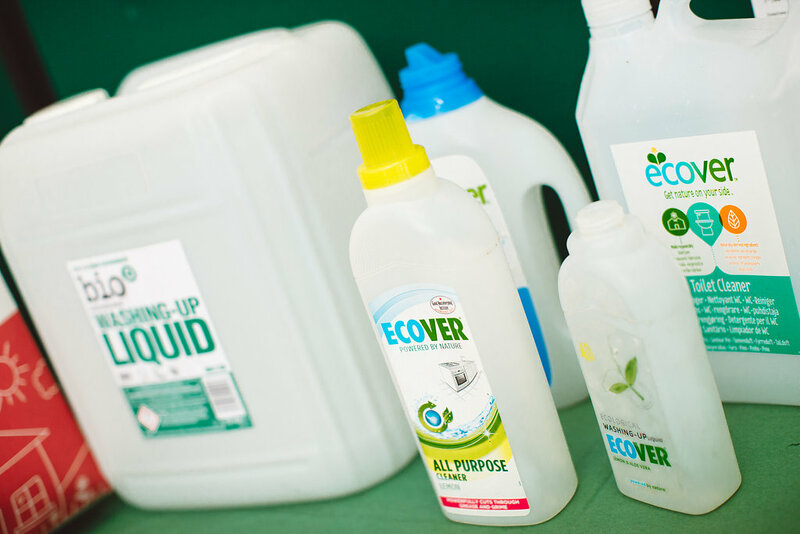 A dedicated team of Sussex Green Living volunteers have been running a special recycling scheme, diverting waste resources from landfill since early 2012”. Carrie continues “Horsham Quakers have kindly provided a public drop off location for our scheme and for many years they have run a household cleaning product refill service on the first Saturday of every month. So this community led repair café seemed the natural progression”. This initiative is supported by Horsham Men in Sheds, Kinder Tech and Groundwork. 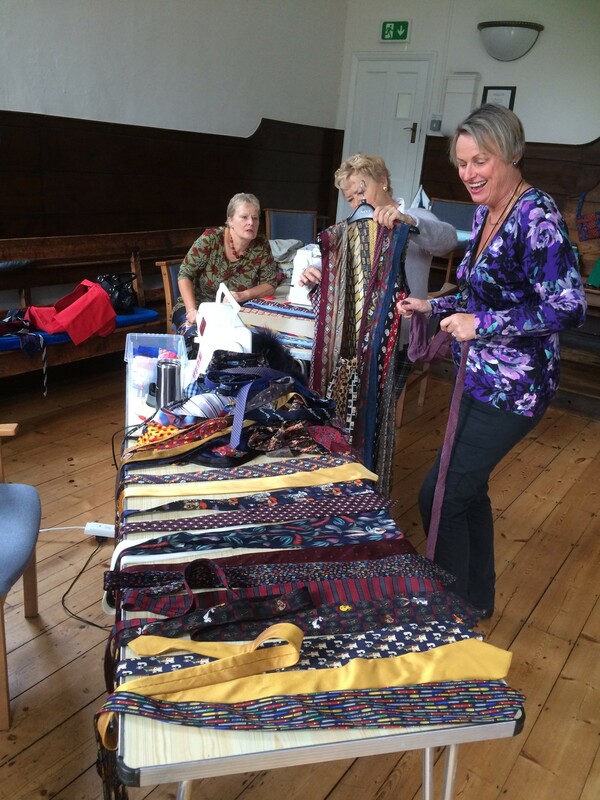 Horsham Repair Cafe will be launching during national Quaker Week, which is an annual focus on Quaker worship and initiatives across the country. Horsham Quakers will be holding an open air silent worship on Wednesday 4th October in the Carfax from 12.30-1pm; all are welcome to take part – just turn up! Further information about Quakers is available at www.quaker.org.uk and www.horshamquakers.org.uk. The Repair Cafe project has been awarded a £1000 start up fund, through the ‘Change the World in 20 ways’ grant from West Sussex company Green People. Green People are celebrating 20 years of manufacturing natural plant based organic beauty products with human and environmental health in mind. 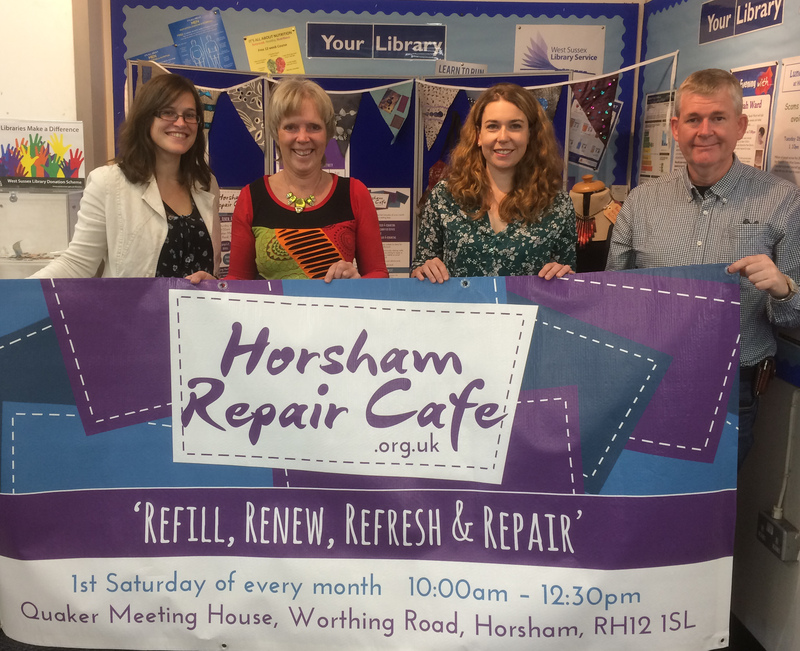 Horsham Repair Café is launching on 7th October 10am – 12.30pm and will then take place on the first Saturday of every month at the Quaker Meeting House, Worthing Road, Horsham, RH12 1SL. The Repair Café team urges people to come along and enjoy refreshments, watch, volunteer or have a go at repairing, remaking or creative upcycling. 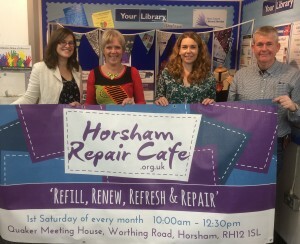 Further information about the rotating repair and energy themes can be found on www.HorshamRepairCafe.org.uk. More information about the dates and themes can be seen here.